Beth Comstock initially wanted to be a journalist, but ended up one of the most powerful people at one of the world’s biggest companies, General Electric. When CEO John Flannery (who is no longer in the role) took over for Jeff Immelt last year, he did a clean sweep of Immelt’s leadership team, including Comstock. 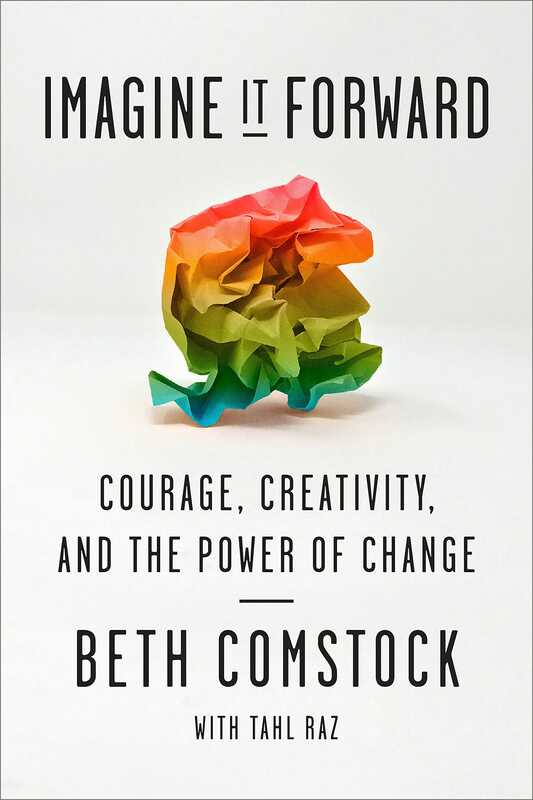 It gave her a chance to consider the entirety of her career, and she collected her thoughts in her book, “Imagine It Forward,” with elements of both memoir and career guide. She recently spoke to Business Insider for an episode of our podcast “This Is Success,” exploring why the idea of constant change has been so fundamental to her story, whether it was the evolution of the businesses she worked for or herself. Beth Comstock: It’s not like I love change all the time, and I think “changemaker” is kind of a weird phrase. I don’t know of a better one, but it’s not necessarily that I’m the one that always makes the change. I’m kind of like a translator of change, if you will. To me a changemaker is what’s next and new. I think earlier in my life, I’ve always been curious. So that’s consistent my whole life, but earlier in my life I was definitely more reserved, held myself back and was often kind of against the wall as opposed to stepping out and seeing what’s next. So that’s definitely something I had to change in myself. Feloni: Yeah, so I just think like seeing that span, obviously, a lot happened between the early days and where you went. When you ended up at NBC, wasn’t that in kind of a tough time for the network? Comstock: Well, apparently, these trucks were really exploding, but they couldn’t get one to explode on camera. So they faked it. And it was obviously wrong, and a scandal and the news division got fired, and most of the people, and so I got a call. I was working as a publicist, then at CBS, and I knew some reporters, and they’d put my name in, for them to consider me. Frankly, no one was taking that job. And for me, it was my kind of entrepreneurial awakening because I got to form a team, we had nowhere to go but up as a news division. I was allowed a lot of freedom to try a lot of things. And so it was, I think, one of the most formative jobs of my career. Comstock: I don’t know why I took the job. It was one of those formative times, I think earlier in my career, being divorced and having sort of picking a path going forward with a young daughter and moving to New York. And that was another time I think, probably one of the biggest tests of my early life. Comstock: In my early 20s. And just that sense of, you have no choice but to just go forward. You’ve made this choice, it’s the right one for you, and you just have to make it work. So I think that gave me a bit of confidence, like, OK, I’ve done this before. So I tend to be good at listening to my intuition. I think it gets harder as you get more busy. As you get older, your life takes over. I think we have a hard time listening to that voice inside of us. And I sometimes look back and try to remind myself, how was I so in tune to that? Because sometimes you worry and you think, is that my intuition? Or is that just my nervous brain taking over? So I think those are the things you’ve got to recognise, kind of what holds you back, and I was shy and introverted. There’s shy and there’s introverted. And I think they’re somewhat different, but introverted is also just you’re reserved, you reserve energy. And so over time, I had to find that internal extrovert that was there. I had to kind of pretend sometimes, even when I didn’t feel it, because I made it my job. And I think that’s how I gave it perspective. It’s like, “My job requires me to do this.” So it was getting out of my head. It wasn’t like, now I’m going to be confident, and now I’m going to put myself out there because I’d freak myself out, to say, “My job requires this.” So it was a way for me to get out of my head. Frederick M. Brown/Getty ImagesComstock developed a dynamic public personality, but it was one that took effort to develop, she said. Comstock: Yeah, I think I just saw places where I was holding myself back, like we talked about that NBC job I took after they blew up the news division, two years later. I was in a situation where we were launching MSNBC and there was like Jack Welch and Bill Gates. Jack and I worked at GE, but I’m sure Bill Gates had no idea who I was. But those moments, you just say, “OK, this is my job. I have to go talk to Bill Gates now. I have to say, ‘Bill, you sit here. '” It wasn’t like I was having a lengthy conversation. As I said, you just say, “I have to do my job.” And those are the situations. As I grew in my career, especially when I got to GE, I started to feel more comfortable in talking to customers, talking internally, having to give presentations, and I just got more comfortable with that. It’s talking to your team, then you get called into a big meeting. Ten years later, you’re able to talk to the board. But I couldn’t have done that right away. Feloni: Did you end up on a manager’s path just kind of by accident? Or did you end up having like, a clear vision of I want to end up being an executive at this company? Comstock: A little of both. I’m one of those people that probably was carried more than I had a big strategic plan, at certain parts of my career. I certainly never would have imagined I’d end up where I would at GE, but I was ambitious. I’ve always been ambitious. I knew I wanted to keep learning, I wanted to keep growing, I wanted to keep rising in the company. So ambition has always been a part of who I am. And then in the beginning it was managing projects. And then you’re like, “I want to manage people,” then it’s like, “I want to manage many people.” And so you see, each step, you see others. And honestly, you kind of get into a habit of that, you kind of see the next thing above you. There were times I probably didn’t stop and say, “Is that the right job for me?” I was just like, that was the next one. Feloni: And in terms of figuring out how to deal with that ambition – there’s a story that you’ve told when you’re at NBC, when you had been going for a promotion, but it hadn’t been offered. Could you explain that? I was so furious. I was mad at him, but I was especially mad at myself. Because I’ve been sitting there all this time. It’s a classic business mistake: You wait to be approached. I felt too – I don’t know. I was ambitious but I was afraid to show it, maybe. And I figured if they thought I was qualified, they’d call me. And meanwhile, they had already thought about me and discounted me for reasons that weren’t true. I was mad at myself. And it was a big lesson. And one I’ve tried to take through as I grew my management expertise: Don’t assume that about people. And as a person, if you’re looking to be manager, don’t assume they know what you want. So tell them, if you see you want another job in three years, tell them, “That’s what I want, and I want you to help me get ready for it.” They can’t read your mind. And if you’re leading people, don’t assume something just because once they told you, “Hey, I can’t move, I got a kid in school, or my mother’s ill.” Three years from now, that may be very different. So always check in with people, I think, and tell them. Feloni: And on that note of learning to be a leader, did you learn to be a leader through like a series of mistakes? And then, “OK, here’s what I did wrong,” or did you have certain mentors come in? Comstock: All the above? I think there’s a champion, there’s a mentor, and there’s a coach. I’ve tried to have all three. To me a champion is kind of like an agent; they know your story. And they kind of say, “Hey, you’re really good. This person is really good.” The mentor is somebody who kind of invested in your career, they want to see you do better, and they will tell you that you lack confidence or whatever. Then a coach helps you fix that, “OK, I do lack confidence, help me get over that.” And mentors can come in all forms. I’ve had mentors 10 years younger than me, mentors 20 years older than me. And feedback is critical. One of the most defining sort of leadership lessons was I got one of those 360 reviews and at GE, boy they, it was like a Ph.D. I mean, they interviewed 30 people. Like, you went back to high school. I mean, it was crazy because I was potentially on a path for a promotion. And I realised that’s what they do. And the feedback was really mixed, and there was some really tough feedback I got. It was basically, “Your team, they liked working with you, but they think you leave them out of ideas. You don’t ask for help. You’re abrupt.” Oh my gosh, I remember just feeling devastated, because there were some nice things, but I went right to the defects. And the HR person, who turned out to be a nice coach, in this case, he coached me to say, you’ve got to march in there tomorrow, to the team you work with, and you have to say, “Thank you. You gave me feedback. I’ve heard it. I accept it. And now I need your help. So when you see me being abrupt, can you point that out to me?” That’s really hard to do that, but I’m so glad that somebody coached me through that. It was a defining moment for me. Comstock: Yeah, well, Jeff and I, we had been colleagues before, at NBC, and then I was brought back in, after a time at GE, to lead digital. And it was a time of great tension and change in the media industry. YouTube had just emerged on the scene. I was trying to lead new digital models and Jeff was in the running to be CEO of NBC, and people were rumoured that I was the corporate spy; I was sent in from on high, from GE, and that I was a contender. And so he saw me as a competitive threat. But people would plant stuff in Page Six about me, and it really rocked my confidence and made me paranoid. You know, you pick up Page Six and someone says, “She’s so vicious, she’ll take out your kidney and you don’t even know it’s gone.” Well, it’s maybe kind of a compliment, but they didn’t mean it as a compliment, and I didn’t take it that way. Comstock: And you’re like, “Who said that? Did you say that?” So it brings out the worst of you, when you realise that it’s your colleagues who are doing that, who are planting these things about you. So we were all suspicious of each other, and we brought those fears, and I think that’s one of the points I’m trying to make, is people bring bad behaviour to work because they’re afraid. They’re afraid they’re going to lose their job. They’re afraid they’re going to lose face. They’re afraid to change. And sometimes it gets really ugly, and I kind of took the bait on that. I kind of got in it and duked it out with people, and I should have had a bit more perspective, in hindsight. 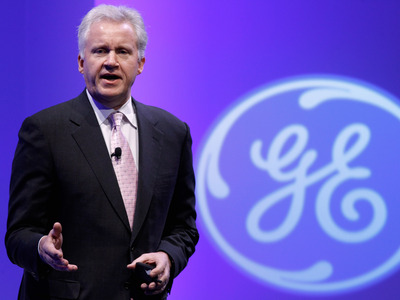 Chip Somodevilla/Getty ImagesComstock was part of former GE CEO Jeff Immelt’s leadership team. Feloni: Yeah, and so I mean, when you have colleagues that you’re working with that have completely different personalities, do you have to adapt your approach to them, or do you make them adapt to you? Comstock: I think it’s a little bit of both. You have to stay true to who you are. I think that takes a lot of learning, over a course of a career. Just silly things. I remember when I first got to GE and I was leaving NBC for GE. Not many people went from NBC to GE, but if you’re not careful, everybody wears the same thing, and I just wasn’t going to wear golf sweaters and try to fit in. I wasn’t a golfer, and things like that. I am not going to golf. I just made it my thing: I’m not going to golf! For a while, I tried to take lessons and tried to fit in, but then I was like, “This is stupid. I’m not that way.” It’s a simple example, but you have to pick those moments. But you do have to adapt your style. So I felt like, at GE, people talked over each other a lot. They were very passionate, and everybody did talk over each other, and they didn’t listen. So I think both of those happened. In my time at GE, I was in a journey to open myself up, and I opened the company up to external forces in the world outside. Companies tend to look inward, and so my differentiation was to focus outside, so hopefully, I brought that kind of style to my colleagues. Like, “Let’s bring in people who are different. Let’s go look at something outside that might be different.” Hopefully, that was little bit of an adaptation I was able to bring. Comstock: It was the whole company’s leadership team that had to do that. I mean, a 125-year-old company has to continually change, and the world is moving faster. It was the digitization of industry. We had to find trends early. You need people who fight for the future in your company, and here we’re talking about business, and too often, we get caught up in the quarterly predictable earnings. This is our quarterly prediction, and we’re going guarantee we’re going to make this, and that’s hard to do when you’re thinking about the future, and you need both of those in companies. Comstock: A good leadership team has to do both. And I give Jeff Immelt a lot of credit. GE’s had a tough year, and I think Jeff hasn’t gotten the credit he deserves for being bold and having to have feet in both places and officiate that long and short-term. It’s hard. And it’s so easy for a leader to say, “Ah, you know what? My investors, they don’t want me to do that,” And to use quarterly earnings as an excuse. That being said, it does make it harder, because you have to protect ideas. So that was one of the first things we did, was we created a class of ideas that were protected. We called them “Imagination Breakthroughs,” and what I mean by protected is, you couldn’t cut them, just because you needed to make a quarter or your budget for the year. You had to make sure you killed them because they were a bad idea, not because you needed the funding to make today. So companies need to do that. What I learned over the course of a career is you need the right people. The people who like operating a $US10 billion business are not always the people who like seeding an idea that has no revenue. So you need different people. You need different time. You need different metrics. You don’t know if you’re going to be profitable if you don’t even have a customer. Why are you asking me what the profit is? I don’t know if anyone’s gonna buy this yet. So you need different metrics, and what companies do is we just throw too much money at something before it’s ready. Comstock: Yeah, well, I think the common thread for me has been story and storytelling. I am a storyteller at heart, and to me, strategy is a story. Vision starts with a story, and if you’re going to imagine it forward, which is, to me, about having vision and being a visionary leader, it’s a good story. The old JFK, “We’re gonna go to the moon,” and everybody gets excited because they see it. They can actually imagine the boot touching the dust. It’s a story. Feloni: Was there ever any difficulties as you were rising up the ladder of not having had the more traditional managerial route, where it’s like, you went to business school and then you were at a consulting firm? Comstock: Yeah, and I felt intimidated about that. I still feel like, “Should I have gone to business school?” Again, given where I came from, I didn’t take many business classes, either, as a biology major. So when I first took over as CMO, I had to hire a lot of CMOs at the business unit, and hire MBAs, and I did that specifically because I didn’t have that expertise, and I couldn’t pretend I did. Feloni: That almost sounds kind of terrifying, to be ready to be the chief marketing officer, and you’re reading the basics of marketing! 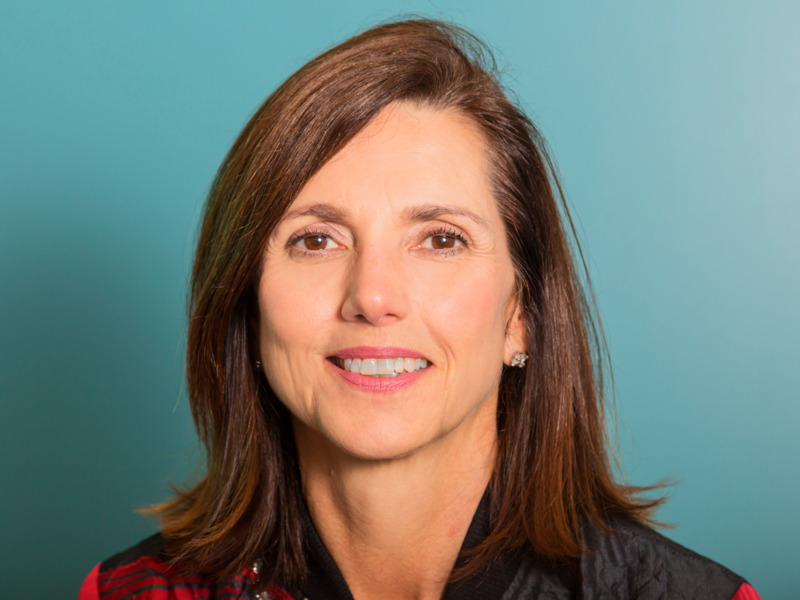 Comstock: Yeah, and in fact, AdAge at the time wrote, “She’s one of the rare chief marketing officers who’s had no marketing experience.” And they didn’t mean it in a good way. GE hadn’t had a marketer in 20 years. Jeff Immelt had a good vision. He knew marketing. He wanted it to be about growth and innovation, ultimately. But most of the people in the company thought it was the advertising department. I was already doing ads, so they didn’t know what it could be. And so it was also about change and innovation, and that wasn’t even clear to me in the beginning. So frankly, it wasn’t like I was filling some other job. They didn’t have high expectations to begin with, so again, it’s one of my philosophies to kind of take the job no one wants. No one really knew what marketing could be. So it was a clean slate, in some respects. Feloni: Yeah, and it seemed, kind of from what you were saying, that you were very open to being transparent about what you needed help with or didn’t know. Comstock: Well, at points. But I want to make it very clear, I’m not naturally that way. I had to learn to be that way. So if you’re listening to this now, it may sound like, “Hey, wow. She had it all together. That’s how it happened.” Not at all. I mean, I got feedback. You need to ask for help. People were very generous, and some people didn’t have time for me and you find the ones who do. So you have to ask for help. You cannot go into these situations and go, “No, I’m going to act like I know everything,” because you’ll get called out. Feloni: We’ve been talking a lot about how you’re making change at a company and in your own career. But what if someone listening, they’re not in the position of leadership? Maybe they’re just starting out or they’re just in a different role? How can they bring that mindset to their role? Now look, you’re always going to work for gatekeepers. I worked for many of them. And there are always people who say no. Might be a bad idea, may not really have the money, or they just may be control freaks that don’t want you to have it. I believe you have to keep going back. The first time, your idea may not be ready. You’re not ready. So I’m a big believer in, “This no is ‘not yet. '” Keep going back, keep going back. So those are a couple of things I would encourage people to do. But, look, at the end of the day, you may just work for somebody who’s not going to drive change. And you may have to say, “Is it time for me to look for another job? Do I need to adapt my style in a different way?” Or I just may need a different outlet to express myself that I can’t get and I’m going to pick up some activity on the weekend. Maybe I’m going to do a freelance assignment on the weekends to give me that skill in a way my company won’t. Comstock: Well, the decision was made for me, so that’s a pretty good one! John Flannery comes in, he wants a new team. So the old team is gone. Comstock: Yeah. Pretty soon after Jeff left in June, and I left in December. And John wanted a new team in, and that’s what happens. I mean, that’s part of change. We have this magical thinking that you can control your exit. I think I thought that. I was at GE a long time – I probably stayed too long. That being said, I loved working there. I feel like I contributed a lot and I got developed a lot. So I had a lot of reason, there were always new challenges. And that’s one of the reasons I stayed there as long as I did. I loved that company. Random HouseComstock’s book, cowritten with author Tahl Raz, came out this year. Comstock: Well, I think, you know, you always have to ask yourself, “Is it time for another team to take the reins?” I kind of came to the end of the road of what I was doing at GE. There wasn’t the next necessary obvious thing. I wasn’t going to be the CEO of the company. And I think sometimes we have to be honest with ourselves. Have I done as much as I can? And is it time to go? So I’m not sure I asked that enough. Feloni: You’re on the board of Nike now, and that’s a company that has been in the news a lot lately because of changes in its branding and its approach, especially with the whole Colin Kaepernick ad campaign. How do you see that? What was the discussion around there of how Nike wants to represent itself? Comstock: Yeah, well I mean Nike’s had this amazing tagline and campaign in “Just Do It” for 30 years, and their strategy is to reinvigorate “Just Do It” around mission and the sort of passion around sports and sports for progress and social progress. And so they were telling athletes’ stories. And they know their consumers really well. They know their consumers think it’s important that their athletes and that a brand stands for something. I think we’re in a time of brand courage. And I think anyone who might be listening who’s in a brand kind of role, it means sometimes you have to take uncomfortable positions. It happened to me when we, in GE, when we were doing “Ecomagination.” Not everybody liked that GE was standing out for clean energy. Comstock: It was our clean-energy effort back in the early 2000s, and it was uncomfortable. Some of our customers thought we were getting ahead of them. They didn’t like that we were doing that, but we saw that as important for our customers and the future. So that’s what brands have to do. And I think Nike showed real brand courage. It means not everybody’s going to agree with it. You have to recognise the politics and you have to realise the potential backlash. I keep talking about the consumer, but I think more and more employees and companies say, “I want you to stand for something.” They’re looking for leadership in the world. And unfortunately, or thankfully, for brands, that’s a role they have been asked to play in the world these days. Feloni: As we’ve kind of looked at the broad span of your career, is there a moment that you could point to where it was maybe the biggest challenge that you faced? Feloni: So in some ways that’s reassuring if it seems like someone, their grand plan that they had isn’t panning out exactly how they thought it. Comstock: You can start over again. I always have this, “What’s the worst possible thing that could happen?” You kind of get yourself ready. “What’s the best thing that could happen?” Challenge yourself a little bit to think of, “What happened if I lost my job tomorrow? What would happen?” OK, I’d be horrified, I’d be sad, but I’d figure it out, right? What are some things I want to do? So those are good mental-agility tricks and that some would want to try to advocate for. Comstock: It’s changed over the years. I think, for me, success is being part of a team that just does stuff that, individually, we couldn’t do on our own, and stuff that we just create this momentum like we’re going to do our best work ever. To be part of teams that did that, I feel, is incredible success. Feloni: So how are you defining success for yourself now, when you’re not working with a larger team? Comstock: Yeah, I mean, success is figuring it out. To me, I’m huge on big picture for setting the vision and then break it into small pieces. But also, allow yourself the space to just wallow in ambiguity. Just wallow in it. I talked a lot, when I was at GE, in sort of change, and what you we’re talking, the short term and the long term. Get used to living in the in-between. The old’s going away, and the new’s coming up. And, this last year, I’ve had to eat those words. Get used to living in the in-between. The old job went away, I don’t have a title anymore. The new – I’m not sure what it is. I’ve had a book, so that’s been good for me to say I’m an author! But I don’t know what’s next. And you have to get comfortable with, “That’s OK.” I’ll meet people, or I’ll run into people I know, and they will go like, “What’s next? What are you going to do,” and I’m, like, “I don’t know.” They’re like, “Come on. You just don’t want to tell me, right?” Like I have some stuff planned. But I really don’t know, and I’m trying to make myself be comfortable with not knowing. Taking my own advice. Comstock: I’ve always said, in work, I was really good at embracing business ambiguity. But for myself? I think that’s what I’m saying to people right now. Whether you’re 20 or 40 or 60, there are times in your life when you’ve got to kind of let yourself wallow in the ambiguity. Get out and kind of discover new things. Put yourself in uncomfortable positions, because you’re going find out something about yourself and an opportunity that might not have existed. So that’s what I think it’s about.